Cutie Mark (Picture will work): Lunar's cutiemark consists of a star and an open book that looks similar to a bow, a vaguely similar symbol to a forte (in musical terms) backing the book up as a holder. How did your pony get their cutie mark: Let's see... She got her cutie mark after she managed to record every constellation and star into a book - every one she could see anyway - and their patterns, when they appear, etc. Personality: Booksmart. As in, really booksmart. A pony with a genius IQ of 168, Lunar is almost always with a book or two, and an intelligent unicorn. She loves to organize things, but if you see her, she isn't likely to respond back. This would be because she is extremely quiet and barely talks - it's not that she is shy, it's more because she secludes herself almost all the time with books. It's a rare opportunity to become friends with her, and even rarer to get her to talk. Even then, Lunar is quite the clutz (in all irony to her organization because her clumsy makes everything mess up) and can be kind when you manage to get her to warm up a bit. Though, it's not too hard to always see a smile on her. It's hard to tell what she is smiling at though. One thing that's a bit off with her is that she is rarely seen to be awake in the morning - which is why she can't even socialize - and prefers to stay up at night. History: It's really nothing special. Lunar lived in Canterlot in a noble family. However, she never seemed to be as intelligent as the rest of her siblings. And the fact that she was the eldest wasn't helping when they were always one step ahead of her. Due to that, she went under the mentorship of Twilight to learn more, and eventually was caught up to the family. However, they never found out what she was doing, and when they did, the unicorn fled to Ponyville and the Golden Oaks Library because she knew that her family would try to force her into a destiny she didn't want. In fact, Lunar wanted to become free, and when she came to the library and worked under Novel, the unicorn knew she had complete control of her life and how she wanted it to be at this time. Moreover, at least with Novel, she's slowly learning why the "magic of friendship" may be so important. How did your pony get their cutie mark: Dream happened to stumble upon her cutie mark when she learned to control her magic, though an outburst, just once, caused a flurry of snow to appear upon her homeland, creating the first winter at the stroke of midnight on the day of a waning moon. Personality: Dream's personality is a bit of a strange one to figure out. She is an enigmatic individual who is very quiet and gentle. Filled with strong curiosity upon her arrival to Ponyville as a result of amnesia, the alicorn is also rather air-headed. This causes her to forget things very quickly - including the names of ponies who have given themselves long introductions. She also doesn't pay attention at times and finds difficulty learning something new. Dream doesn't quite care what others think of her, and she can come off as cold and hostile, much like bitter blizzards. If the winter was even more hard to bare through, Dream's personality would have switched to a very serious and perhaps even pessimistic one. Very despondent, and so, in order to give others the hope that she feels she never had, Dream deeply cares for ponies, and at night, makes sure to send each one a peaceful dream. Has a tendency to cut conversations short and speak in terse sentences. 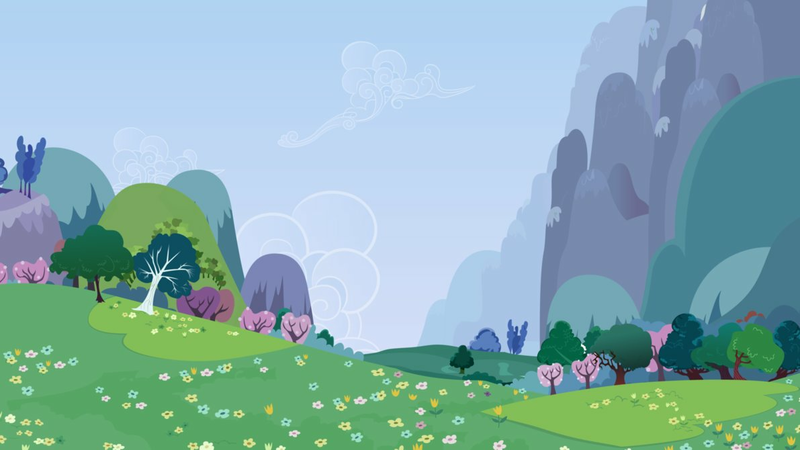 Job (If they have one): For the time-being, Dream simply wanders around Ponyville, moreso in the Everfree Forest. It's not too hard to spot her in the old castle of the Royal Sisters. History: With her amnesia, it may be difficult to even say much. Next in line to the throne in her empire, Dream was at the very most, a weak individual who - even with her royal status - wasn't all too popular at school. She always secluded herself and thus, winds up being a target that many thieves or kidnappers can get to. In fact, she was kidnapped at one point, and by the time she arrived back... The alicorn had no memory and had wound up in Ponyville. With the feeling of no hope of returning wherever she came from, she became a despondent individual who believed that she wasn't really noticed and perceived herself as a negative person. Her ultimate goal is that she wants to become noticed, acknowledged, and liked, though, her true works will start in Ponyville as to if she can achieve it. How did your pony get their cutie mark: Sugar finally got her Cutie Mark after discovering how well she could bake treats after winning a baked goods contest hosted by Sugarcube Corner and the Cake twins. History: Originally a Pegasus who lived in the Crystal Empire, she was bullied often and didn't fly very well. Sugardrop soon moved to Ponyville on her own accordance, living with Fluttershy in her hut where she has been taught a few things about animals. During school, she was still bullied for being so weak and timid - not to mention blank flank -, but she eventually learned not to care about others' opinions, and be who she wanted to be. Now, she currently resides in Sugarcube Corner with the Cake family. Personality: Of all Breezies, Orchid is very adventurous and daring, often doing reckless things and almost never returning home. She can be envious really easily if Avan doesn't pay attention to her and dislikes any other mares speaking to him. The Breezie has a sassy nature, and is rash. For all things, she hates being wrong. Despite her personality, she genuinely cares about Avan and other Breezies, and more so nature. History: From the moment she could fly, Orchid was always a troublemaker. She wandered off and because the gate to her original home was closed she soon met with Avan, eventually traveling with him to Ponyville. There's not much that she has accomplished, but that's her main goal at the moment: To leave a mark in Breezie history for Equestria. Personality: Xiao Yu has a good manner, tolerant, and generous to almost everypony she meets. She lives a very simple life and can be quite naïve, but the hybrid is never seen to quarrel with anypony. Quite frankly, she practices music, particularly playing her Xiao, or notched flute. She can be teased very easily, and thus, she is an introvert. However, Xiao Yu shows a large amount of empathy for others and never gives up. She is very sensitive to others' emotions and prefers to use songs to express her own thoughts and feelings. She tends to be seen drawing or writing music, and will be extremely focused on it, not breaking her concentration unless there is a disturbance she can detect. Can't really speak English and will use the wrong words often or word the sentence incorrectly, and Xiao Yu continuously forgets that she isn't at home, and will speak Chinese instead. Moreover, she is extremely dense and will usually mistake an insult as a compliment, and is at loss at understanding the ponies in Equestria. Ex. of how she may speak: "R-rid of good!..." when she should actually be saying "G-good riddance!..." History: Xiao Yu lived a normal life back at her home, but, she admired the princesses in Equestria and left her peaceful and quiet life to aspire to learn more. Though another reason she left was because she was teased by her older brother and his friends for being interested in music and art instead of sports, and since she couldn't fight back, she wanted to flee, even if it made her seem like a coward. At the moment, Xiao Yu is living in a rented home in Ponyville where she heard the legendary Elements of Harmony were currently residing, and wished to learn more about them.